Nicolas Bourdon is a partner at Accuracy. He acquired his experience in advisory and financial audit whilst working at Arthur Andersen for 7 years, before joining Accuracy in 2004 as one of its first co-founders. 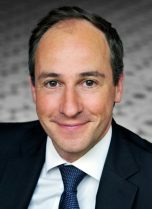 Nicolas is specialised in transaction advisory services, litigation support (quantification of damages) and has extensive experience with supporting clients in the construction contract businesses (Infrastructure and engineering). Nicolas advises corporations, PE funds and public institutions. Nicolas speaks French (mother tongue) and English (fluent). Nicolas has been appointed as financial advisor for both corporations and private equity firms. He regularly conducts buy-side and sell–side financial due diligence, vendor due diligence for French corporates and private equity firms in the energy and utilities, industrial, health and infrastructure sectors. Nicolas has been appointed as financial expert and has testified as an expert witness. He has also acted as an independent expert appointed under a shareholders’ agreement. Nicolas has acted as financial expert in international arbitration cases under ICC and UNCITRAL rules, as well as in French and Belgian Civil Courts.